Independent reading time is a key component of any reader’s workshop. It looks different at every grade level. What’s important is that we have a time, daily, for kids to read by themselves or with a partner, to choose what they read, and to have time to talk about what they are reading. In my kindergarten classroom, we have book boxes and a book box time every day. Every child has their own box. Inside the box is a variety of books. There is a Ziplock bag with their “just-right” books. In the bag there are guided reading books, paper books that we have read together as shared reading charts throughout the week, ABC charts, name books, cut apart sentences from guided reading groups and ABC books. Children know that they are to read their baggie books first. There are also “look books” – books they can read the pictures or retell the story. They can choose 5-7 “look books” to put in their book box. These are library books, books from our classroom library and favorites that have been read aloud. This might be a super cool book on snakes, a Pete the Cat book we’ve read out loud several times, a Mo Willems or Todd Parr book from our author study or any good book they find on our shelves. Finally, each child has a poem and song binder that is full of poems and songs we’ve read together as shared reading pieces. Our book box time is social, full of energy and full of engaged kindergarten readers – reading the words, reading the pictures, retelling the books, making decisions as readers and talking about books. 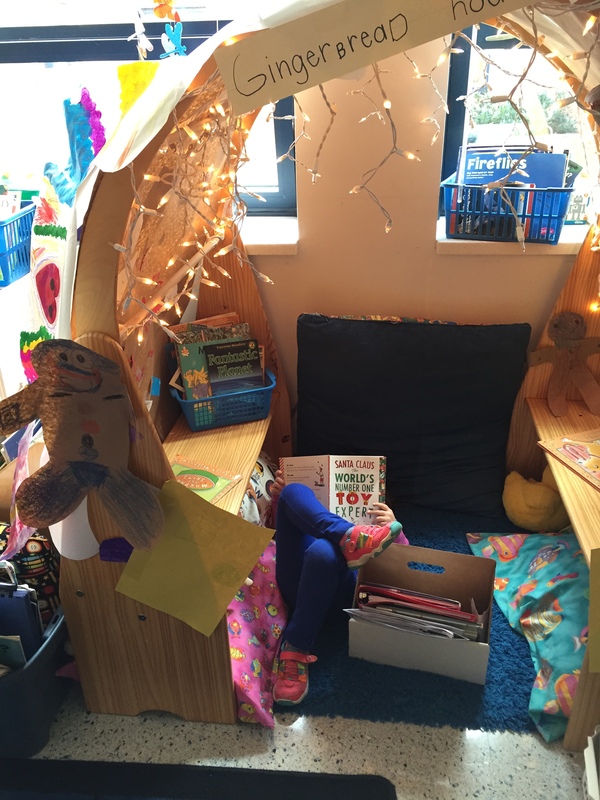 Children choose a cozy nook to read, they decide if they are reading by themselves, with a partner or with a group, and they choose what they read – just like readers do. Here is a glimpse into our book box time. Enjoy!